For 200 years the clock on the front of Mount Zion Church, Ogden, Near Halifax, has told the time accurately, and no one can recall it ever having been repaired. For the clock, is an ancient sundial which has long been a pride of Mount Zion congregation. The congregation has a lot to be proud of. Besides the sun dial the Church has a beautiful interior and boasts a Belgian organ, of which there are about six remaining in this country. 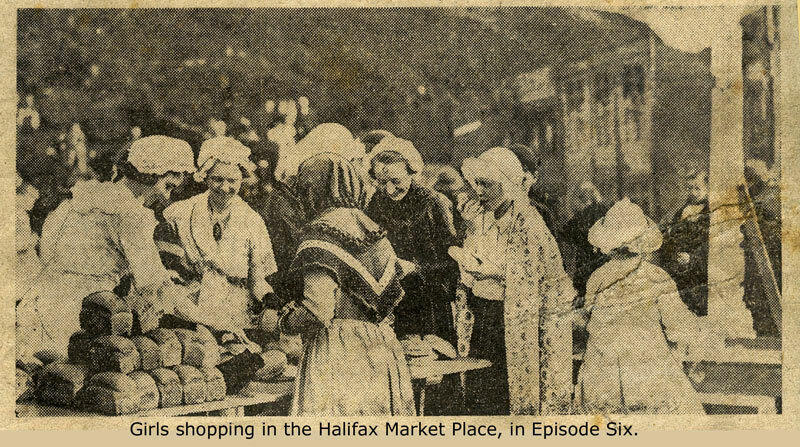 Mount Zion began in an age of cottage industries when packhorses carried cloth made in farms and hamlets to market in Halifax. Great changes came with the Industrial Revolution with mills replacing cottages as the centre of the wool trade, but farming continued. Methodism began at Mount Zion in the age of religious intolerance, when Methodists were looked upon with suspicion and even hatred. It was born out of an enthusiastic and contagious love for the Lord Jesus Christ and out of a fervent desire to share with others the new life which he alone could make possible. In 1973 it celebrated its two centuries of witness and hereafter is a story of Mount Zion written for that anniversary. THE MOUNT ZION STORY . . .
"His gifts of command stamp him as probably the most striking of 18th century figure and leave him in the select division of first class leaders of all ages" so wrote C. Grant Robertson (in his book "England under the Hanoverians") concerning John Wesley. To appreciate these remarks one must remember that the 18th century was an era of great men, including Marlborough, Nelson, Clive, the younger Pitt and Samuel Johnson to name a few in England; but above all these Wesley was to have a remarkable impact, especially when one considers the social conditions he had to face. In the 17th century several small bands of non-conformists emerged from the established Church and met, often in secret, to escape the jurisdiction of the law of the land. In 1662 when the Uniformity Act was passed, which resulted in many clergy being ejected from their livings, the grandfathers of John Wesley found themselves in disagreement with the legislation. The moral depravity that prevailed at the beginning of the 18th century was graphically described by the work of the artist William Hogarth (1697-1764). His pictures of scenes in "Gin Lane" illustrated the distress of body and the suffering caused by gin drinking. In every rank of society moral standards were low, to say the least, the symptoms being cruelty to children, unashamed corruption in high places and the crushing poverty amongst masses of people. Such was the situation in which Wesley was destined to work and the real sign of his greatness was what he did to alter the conditions. By the close of the 18th century he had won masses of people to be his adherents, so that Wesley's Methodism became known as the religion of the neglected poor. Briefly to refer to his background, he was born on 17th June, 1703 to Samuel and Susannah Wesley. The Rev. Samuel Wesley was the rector of Epworth, Lincolnshire, in what was considered a poor living of £200 p.a. It is said that he was not a good manager, so that with a large family, life had its problems for the Wesleys. Susannah nee Annesley came from a family of dissenters and she was well educated. The Wesleys were reputed to have some 23 children of which ten reached adulthood. John Wesley's escape from a fire at Epworth at the age of 6 years* and his subsequent education at Charterhouse School and Oxford are well known, and after gaining approval from his parents to become a clergyman he was ordained Deacon by the Bishop of Oxford in September, 1725. His first sermon was preached at South Leight in January 1716; neither the preacher nor the congregation could have guessed that this was the first act of a life of preaching. The work of the "Holy Club" at Oxford,* his refusal of the living at Epworth, the desire to work among the colonists, took Wesley to Georgia, but his mission abroad proved rather disappointing. In his journey to Georgia he experienced a dreadful storm at sea when he feared he would perish. It was a group of Moravian Christians on the boat who had a great influence on his future. He noted that they were calm and prayed throughout the storm. On his return he contacted them and visited them. On the 24th May, 1738 Wesley went to a meeting in Aldersgate Street in the City of London. His journal records that he went reluctantly, that someone was reading Luther's preface to the Romans and that he experienced the warming of his heart. He records "At about a quarter before nine I felt my heart strangely warmed and I felt I did trust in Christ". It was from this that he began a life of preaching and working with the poor, imprisoned and those in need. The growth of the new-found way of religion in the Halifax area stems from 1741 when John Nelson, a stonemason of Birstall, returned to Yorkshire, fired with enthusiasm about the preaching of Wesley. 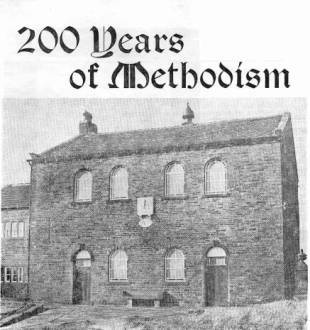 It would be difficult to imagine any industrial town in the 19th and the first half of the 20th centuries without a Methodist Chapel but the number of effective buildings is now on the decline. 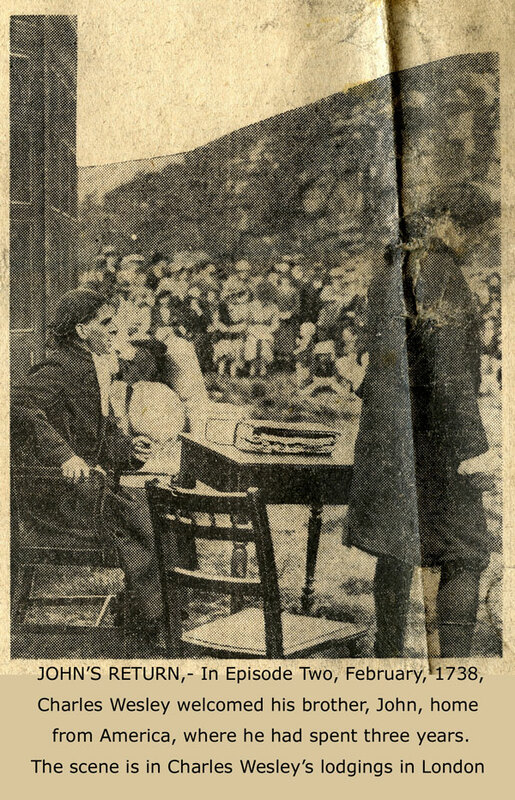 Hearing of Nelson's preaching Abraham Kershaw in collaboration with Blakey Spencer visited Birstall and invited Nelson to preach in Halifax, in fact at Skircoat Green. 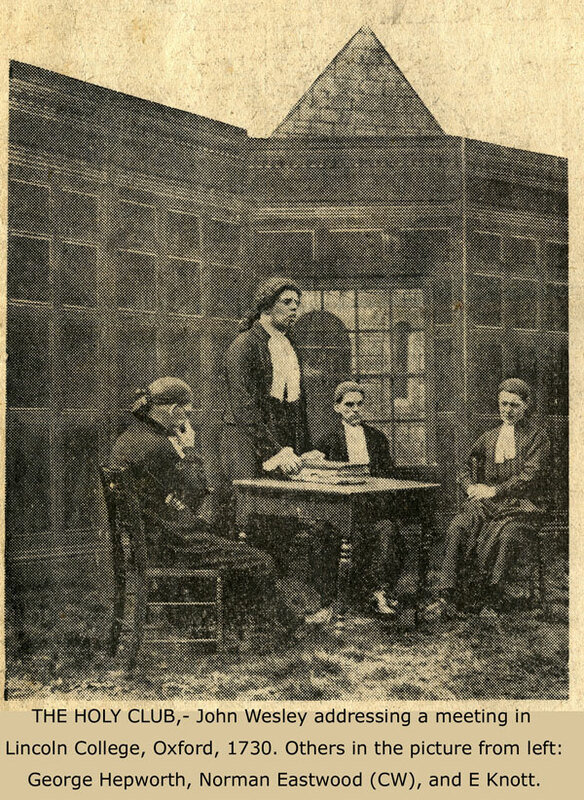 John Wesley visited Halifax on the 22nd August 1748 and decided to hold a service in Halfax. He preached at Old Market by the Old Market Cross to a vast crowd but met violence and interruption and moved to Skircoat Green. On that day a man called James Riley of Bradshaw Row went to hear Wesley and is reported to have said "he disturbed my conscience and troubled my soul". Following this meeting he went to Haworth and heard Rev. William Grimshaw preach. This was the message which gave him peace with God. James Riley anxious that his neighbours should also be blessed urged John Bates, Jonas Varley and Luke Shaw to go with him to Haworth to hear Grimshaw. After his conversion James Riley invited Grimshaw to preach at his house at Bradshaw. It is said the old people attended in large numbers but the children were at first afraid of being seen at the meetings, although desiring to hear the preacher they chased up a tree like Zaccheus. The first class was formed at the house of John Bates, with James Riley as leader and with Luke Shaw, Thomas Bates, John Coates, John Parker and Hannah Hodgson as members. These were the days of small beginnings to a collection of Methodist preaching houses that was to be built in Halifax and district in the next 100 years. Five years later a class formed at Illingworth, and the original class members at Bradshaw, sub-divided and formed additional classes. The work of class meetings and preaching services went on over a period of 17 years but in 1772 the effect of the winter weather was to start the plan for the building of a Church - Mount Zion. In the winter of that year, when the Rev. Atley was taking his planned appointment at the house of James Riley in Bradshaw, a heavy downfall of snow virtually imprisoned the preacher, so that he was prevented from returning to Halifax. The people who crowded the house on the following nights were delighted at the sermons they heard, plus the fact that they were able to hear so many in the space of a week. At the conclusion of one of these sermons, some members stayed on to discuss matters of the times, and during their informal meeting the Minister suggested that, being so full of zeal and energy, they might build a Chapel. Luke Shaw was asked to work out a scheme, and subsequently waiting upon the Lord of the Manor, he succeeded in getting a site on some waste ground known as "Tod-moor Green". The Minister, Mr. Taylor preached at the opening service, when only the walls had been erected and the roof still had to be put on. The height of the Chapel was said to be in line with the Chapel House, but the width was less than the present Church. A stone belonging to the first Church is still to be seen in the Minister's vestry of the present Church. "O go your way into His gates with thanksgiving and into His courts with Praise. Be thankful unto him and speak good of his name AD1773". On 22nd April, 1774 Wesley recorded in his journal his visit to Bradshaw: "I rode and walked to Bradshaw House, standing alone in a dreary waste. But, although it was a cold and stormy day, the people flocked from all quarters". It will be noticed that Mount Zion is sometimes called Bradshaw Chapel, although some distance from the village, but in the Parish of Bradshaw. Methodist ministers have long been known as itinerant preachers and for their convenience in most places a house was built alongside the Chapel. The chapel house at Mount Zion is no exception, affording hospitality and shelter for all visiting preachers and their horse. The special room was affectionately called "The Prophet's Chamber, being used by Wesley and other illustrious preachers when resting after journeys, sometimes long and trying. The Prophets Chamber is the upstairs room at the back of the cottage but it would be bigger in its original state as the present toilet room was later taken off it. William Walker records in "Told by the Dial" that at one end of the room overlooking the burial ground there was a window of diamond panes, some of which bore autographs of former Ministers. One pane was highly prized, having been inscribed supposedly by Charles Wesley: "Time how short - eternity how long. C.W." The loss of such items of priceless treasure we regret, but remain thankful that furniture reputedly used by Wesley is still to be seen in the Church at Mount Zion. While considering relics of the past one must, of course, refer to the Dial, for it was on this theme that William Walker (Minister from 1899-1901) based his writings on the history of Mount Zion. 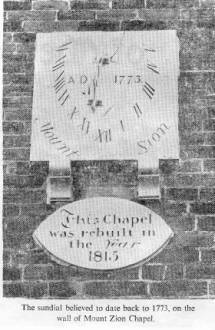 This sundial still records the time on the front of the present Chapel, so linking the past and the present together. In May, 1790, Wesley paid his last visit to Halifax and preached at Mount Zion. When news was given that he would preach at Bradshaw Chapel, it is recorded that great crowds could be seen wending their ways to Mount Zion, anxious to see the man they held in such high esteem. The Chapel was packed with an expectant congregation before 10 a.m. and when Wesley arrived at 1 o'clock the crowds were outside and scattered over the moor. It is said that Wesley was so frail on this occasion that he had difficulty ascending to the pulpit and even then he required help from the Rev. Joseph Bradford and Rev. William Thompson. Wesley was then 87 years old, had become a frail shadow of his former self, so much so that his memory occasionally failed him and the sermon frequently had to be prompted. He stayed the night in the Prophet's Chamber, where the rest and quietness would be graciously accepted. John Wesley died on 2nd March, 1791, leaving behind him the problems of possible division in his Church, and we must look forward now to the dissension that followed and the building of the present Chapel. The unrest and disquiet that prevailed before the death of Wesley soon began to show itself in meetings around the country. 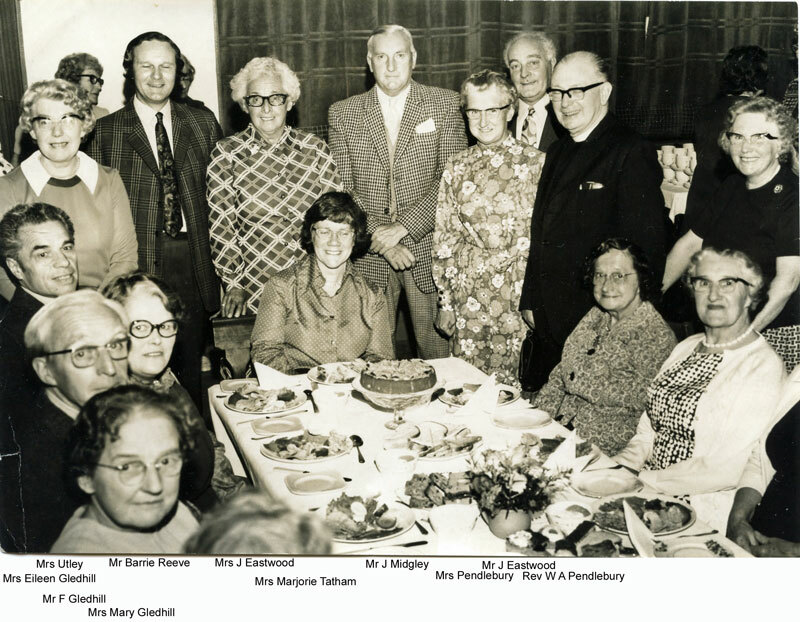 Preachers, trustees and leaders met together at Honley, and a petition was sent to Conference asking that measures be taken to conciliate the people, so making the interests of preachers and people one. In the autobiography of Job Ridgeway, who was one of the founders of the new denomination, graphic picture is given of the struggle which took place in formulating ideas which led to secession. The request for this matter to be put before the district meeting was turned down; in like manner the Conference held in Leeds threw out the petitions. To quote again from the biography, "Thus we were turned out of Chapel, dismissed our offices and expelled the Connexion, after doing so much to promote its interests and without anyone having charged us with having done a single action contrary to the Gospel". Following the rejection of the petitions and the subsequent expulsion of Alexander Kilham, who was an ardent advocate of reform, few Chapels were retained by the new Connexion, but Mount Zion was one. It is in fact the oldest Methodist New Connexion building still in continuous use. It was somewhat unusual in that the Kilhamites threw out the Wesleyans it being the other way round generally. 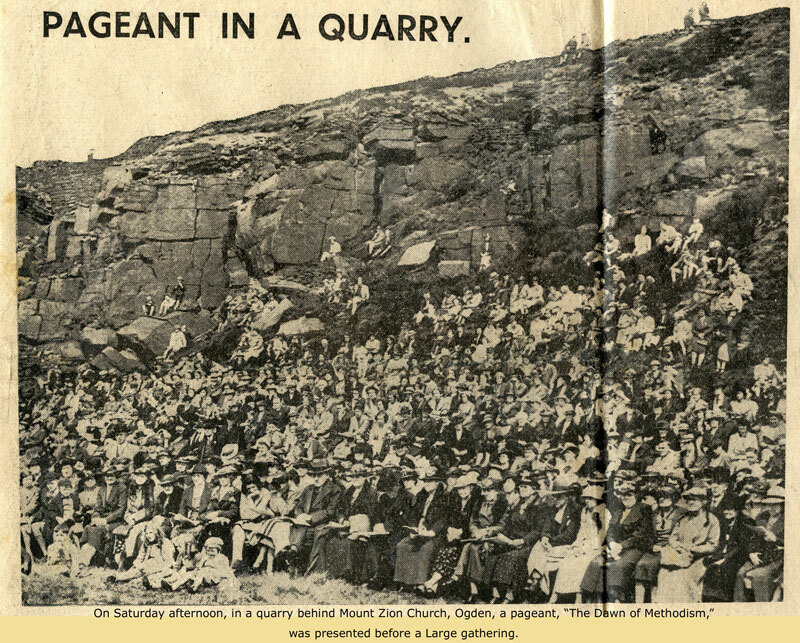 Much may be said of the privations endured by the pioneers of New Connexion Methodism but the attention must now focus on Mount Zion - to consider the changes that took place and the workings of the new Chapel. At the time of the secession there were five Society Classes at Mount Zion, the leaders being Timothy Akroyd, James Smith, Jonas Varley, James Riley and Mr. Greenwood. Most of the members supported Kilham during the agitation for reform, and it is probable that much was said by both parties in the heat of discussion which was later regretted. Most New Connexionists had to leave their Churches and find other places in which to hold their services; in Leeds they met in a Coach House and in Halifax the Rev. William Thorn left his spacious Church to join a little band in a Northgate room. 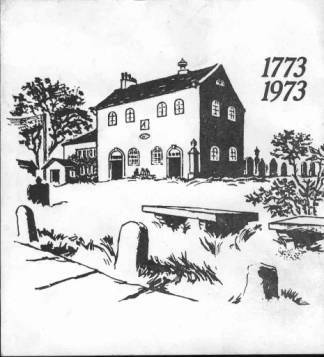 It was the minister at the Old Connexion who left Mount Zion and used a barn across the road, where in 1776 he was said to have preached from the text "The Lord will provide". At Mount Zion they were almost unanimously with Kilham and Thorn and although an attempt was made to regain the Chapel, the attempt failed. All the leaders, stewards and principal members joined the New Connexion so claiming the right to choose for themselves the form of church govenance they thought most suited to their needs. The cause of Methodist New Connexion progressed and in 1815 the old Chapel was demolished and replaced by the present Chapel. By 1830 the membership had prospered and increased to over 200, whilst the Sunday School was said to have nearly 600 scholars. Prosperity continued until 1841,when Mount Zion was again rent by a division called the Barkerite agitation. These problems centred around Rev. Joseph Barker, who was stationed at Illingworth but also had the care of the Ambler Thorn Society. Much could be said about Barker and his opposition to authority; charges were laid against at Conference re his non-conformity to Infant Baptism and the Lord's Supper. The resultant loss to Halifax Methodist New Connexion Societies numbered many members, including some 60 from Mount Zion. The pecuniary resources were also crippled, yet three years later the membership at Mount Zion raised £200 to buy a new organ. It would appear from the history of Mount Zion that apart from leaders and teachers, Chapel Keepers ranked high on the list of importance. At the time of secession, James Butterfield, who served for forty years in this capacity put strong guards at the Chapel doors each Sunday to restrain the old Connexion in their efforts to regain control. It is recorded on his memorial that he was Doorkeeper for 40 years - departed this life 16th May, 1824. Benjamin Bates, who succeeded him, was Chapel Keeper for 24 years and died on 14th September, 1848. It was in 1850 that the doyen of all Mount Zion Chapel Keepers was to arrive in the person of Simeon Priestley. An account of his life and work for the Lord will follow in a later section. Many records and writers refer to the Bishop of Mount Zion, no less a person than John Chambers, who was a founder of the Sabbath School, a Class Leader and Preacher. He was born in 1775 and departed this life on 18th April, 1858, being 60 years a Class Leader and 59 years a Local Preacher on the same plan. To have preached no less than 8,000 sermons was no mean task, he also travelled upwards of 20,000 miles in visiting the sick and preaching the gospel, baptised some 6,000 children and interred about 4,000 persons. His gravestone can be seen behind the Chapel. In those days it was customary to have teas at baptisms as well as at funerals, but not too elaborate in comparison with those of later days. Currant cakes were generally the food provided and it was not uncommon for the minister to be given an extra one after officiating. It is said that one Chapel trustee once remarked that John Chambers had received enough cakes to pave the road from Mount Zion to Keighley. His sermons were said to be of the old school, although no definition is to hand to say exactly what the criterion of the old school was. Firstly, secondly, etc. was his pattern with most sermons reaching seventhly or eighthly at a minimum so to what length, breadth or even depth in comparison with modern preachers and their sermons, one can only surmise. Sunday School teaching commenced in 1784 in the old Chapel, this being the venue until 1816, when the first School premises were built. These took the form of a two storey building on the site of the present Sunday School, the lower room being used for a day school. ** The development of the Sunday School which was said to be one of the earliest in the country, has a great deal to commend it, for it gave many children their first genuine education. In most early Sunday Schools the children used sand trays for drawing out shapes and making letter and word formations. In Walker's "History of Wesleyan Methodism", it is stated that the Wesleyan Methodists were the first to introduce these institutions in the Parish of Halifax, one being formed at Bradshaw before 1790; a fact which tends to confirm the date of 1784 at Mount Zion. The Halifax Sunday School Union was formed in 1819 and its first Annual Report states that Sunday Schools were first established in Halifax in 1792 under a "committee of gentlemen". The discrepancy in the dates would suggest that Bradshaw was not fully accepted as a part of Halifax. It is interesting to note that Simeon Priestley, a man who was to figure so prominently in Mount Zion's affairs at a later date, was born in 1815, the year before the first Sunday School was built. The strength of the Sunday School had by 1830 risen to nearly 600 scholars, a fact which could suggest that the premises would be quite inadequate as regards size, and suggesting also that a great deal of travel was experienced by those attending both Church and School. Over the years at Mount Zion many interesting habits and customs have been perpetrated; for instance in the early days of the Sunday School, beer was brewed for the Whitsuntide Treat - as to how and why this practice ceased, the records do not show. 27th May, 1890 - 28 teachers and 174 scholars from Mount Zion. The fact that the ground floor of the old school was used as a day school did not detract from the desire to build a new Sunday School; we must also remember that this took place before the Education Act of 1870. An extract from Sunday School Minute Book 6th November, 1886 reads: "Resolved that a meeting of School and Congregation be held to devise means of raising money for a new school". The definition of Sunday School classes is worth noting, being described as first and second class Vestry Class and Elementary class. People remained in Sunday School classes into adulthood. A Mr. James Farrar was architect for the new Sunday School building, to be built on the site of the old school at a cost of £1,081. 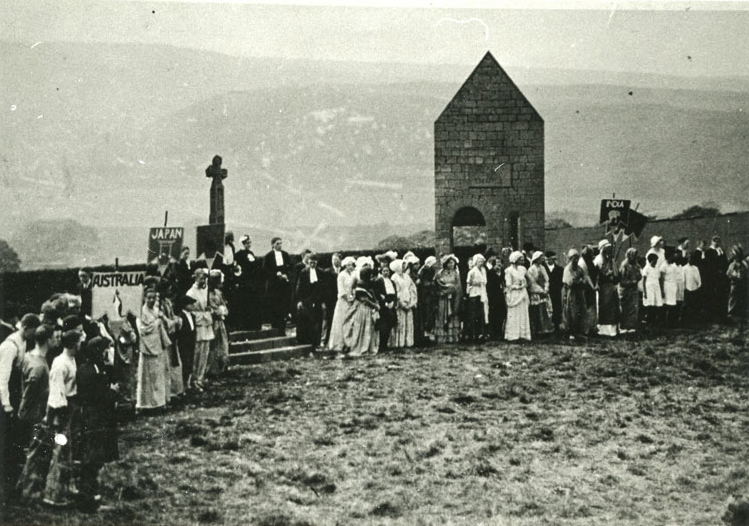 The foundation stones were laid on 13th August, 1887; the Rev. M. Bartram, Chairman of the District, presided, names of people participating being duly recorded on the stones. 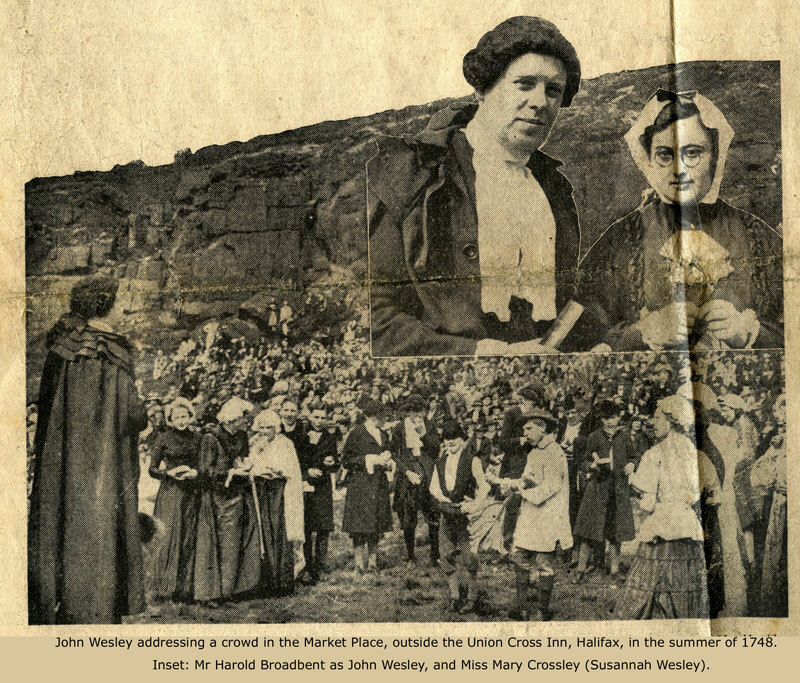 15th May, 1887 - "Resolved that the Annual Walk take place on Whit Monday and that we have a tea instead of currant buns. Resolved that the cricket club members walk with us and lend us the use of the field". This would appear to be the first recording of any sporting activity connected with Church or School. 6th June, 1887 - "Resolved that we have 20 large bills, 100 circulars and 1,300 hymns for the Anniversary". One can but presume that "1,300 hymns" should read hymn-sheets, but even on that assumption a large congregation was expected for a Sunday School Anniversary. 19th March, 1888 - "Resolved that Simeon have school cleaning with assistance of our young men and that he has 4/- per week for the same." There would be no doubt that the Simeon recorded here would be Simeon Priestley, who arrived at Mount Zion in 1850. 2nd January, 1889 - "Resolved that S. Priestley, J. First and J. Greenwood, come into school to see to order being kept." "Resolved that J. L. Bairstow be Harmoniumist". 24th February, 1890 - "Resolved that smoking be strictly prohibited in the School and that all teachers have power to speak against." 21st July, 1890 - "Resolved that the question of 'Gass' be left to some future date." 9th January, 1893 - "Resolved that the charge for funeral teas be 1/-, this figure includes only fuel." 10th December, 1894 - "Resolved that misbehaved scholars should have their prizes lowered." It would appear that not all children were well behaved even in those days of discipline. 9th December, 1895 - Mount Zion Sunday School Institute's formation was approved by the Teachers Meeting of the Sunday School. Some 16 conditions were laid down for observance, e.g. "That it be conducted on strictly moral lines, and that smoking, tobacco chewing and obscene language be liable to the penalty of expulsion. That all playing of cards, dominoes and all games not approved by the Stewards of the day be strictly prohibited." During these latter years of the century the Cricket Club continued its activities in addition to the Institute and the formation of the Bank of Hope. 1st January, 1900, the alternate Sunday teaching system was adopted, suggesting that help in the Sunday School was above maximum requirements, so that the work was spread into two groups of teachers. To the work of the Sunday School in the 20th century, a great deal of which is in living memory of a few members, and particularly to the Centenary of the Chapel we now look forward . . . He was born at Shaking House Farm in 1815, at the age of 28 he married Harriet Varley and moved to Farr Burrs, Ogden, where, it is said, he laboured for a short time in the Primitive Methodist Chapel. "Old Simeon" as he was affectionately known, joined Mount Zion, in 1850 and moved to the Chapel House where he lived and served his Master for 42 years It is recorded that he was tall, lank and spare in build, and thought by many to resemble the late Lord Beaconsfield. For 40 years, as Sexton and Chapel keeper, he looked after the dead as well as the living. A class leader, Sunday School teacher, member of the Choir and Society Steward for over 20 years, he faithfully served, and as a true character he was said to be no copyist but original. Many old scholars and members would, if it were possible, testify to Simeon's kindly treatment, especially of the young, but it is recorded that Simeon did once administer corporal punishment. The noise of clogs on the stone steps in the old school had long been a problem and a special meeting was called to deal with the "clattering daan". It was doubtless an astonishing meeting which heard Simeon say "Never mind naah, aw settled it all right, ther'll be noa moor bother. Ha did pause (kick) ont lad th'other neet but gha hurst mysen mar nar th'lad." "But how was that?" he was asked. "Well, you see, aw didn't like to hurt him too much so aw took mi clogs off 'afore aw paused him." The Sunday School Anniversary, better known then as "Top o'th Hill Charity" has over the years been the event of the year for many, and Simeon was no exception. In collecting for school funds around the district Simeon looked towards "t'new schoil" and in 1887 this was achieved being a worthy memorial to those who had carried out the good work since 1784. The Church's centenary services were held on 1st, 2nd and 3rd June, 1873 (Whitsuntide) when the Rev. E. Gratton preached at the Sunday morning service, his text on that occasion being the last four verses of Psalm 48, verse 11 commencing "Let Mount Zion rejoice". Celebrations continued on the Monday with a performance of Handel's Messiah and on Tuesday a large procession paraded the district for two hours with a subsequent meeting in the Church in the evening. On this occasion there was, apart from the centenary, great satisfaction to record that the Church was free from debt. Mount Zion was connected with the Halifax North Circuit until 1889 when the West Circuit was formed, Mount Zion being included. The Trust of the Church has always been independent. In 1880 a new body of trustees were appointed and immediately decided to have the Chapel repaired. New heating apparatus was installed on a low pressure hot water system, the previous hot air arrangement having been in operation for 35 years. The alterations agreed in 1880 cost £655 of which £400 was raised at the time. The debt of £255 on the Chapel was cleared in 1887 by Ald. Robinson. The question of water supply to the premises was now considered by the Trustees as a matter of great importance. The well giving a supply was said to be some distance away, and the inconvenience to visitors bringing flowers to the graveyard was a matter of concern. For a Church to operate effectively some must administer while others cater for the spiritual needs. Such was the life and work of Simeon Priestley, who, whilst catering for spiritual needs, carried out the cleaning of the Church premises on behalf of the administrators. On 2nd March 1892 Simeon Priestley died, being buried to the rear of the Chapel in the grave where rested the body of his wife Hannah, who had died on 23rd June, 1882. The assembled congregation of teachers, preachers and friends must have been conscious that the end of an era had arrived. The Rev. J. E. Meir conducted the service with Mr. Eli Horsfall at the organ. A memorial stone was erected to his memory by public subscription: "By his quaint humour, striking originality, sterling piety and unwavering zeal, he endeared himself to all who knew him." Music has always been a feature of the worship at Mount Zion, and mention was made in an earlier chapter of the part taken in the Piece Hall Commemoration by the massed voices of the District. Mr. Samuel Longbottom was the first organist at Mount Zion, holding the position for 22 years. He was also, at one time, Bandmaster of Black Dyke Mills Band and during his charge at Mount Zion a successful Choral Society operated. Following the retirement of Mr. Longbottom, Mr. Bancroft Bairstow became leader of the Choir but retired on account of ill health in 1880. Mr. T. B. Amiss then became Choirmaster leaving for America a few years later but returned and conducted the music at the 1915 Centenary celebration of the new Chapel. The present organ was built in 1892 by a Belgian firm, Charles Anneessens by name. It has long been considered, for its size, a most delightful instrument both to play and hear. Mr. John Anneessens son of Charles, was responsible for its installation. During World War I he was a refugee at Lindley and visited Mount Zion to look at his old instrument. In July 1969, Father Charles Anneessens visited Mount Zion to see and hear the organ which his grandfather had installed. He was accompanied by Mon. Herman Roelstracte who played the organ and made recordings. Mr. Eli Horsfall occupied the position of organist at the turn of the century and during the 1900's held a join position with Mr. J. L. Bairstow. On the resignation of Mr. Horsfall in August, 1907, Mr. H. Boardall took the position temporarily until the appointment of Mr. Harry Webster. The reports of the Swedish Bazaar of March, 1912 suggest again a feast of music including a String Quartet, comprising Messrs. Calvert Moore, Joe Manger, Sam Bradley and David Button with Sydney S. Walker at the piano. This effort raised some £300. Included in this account was the effort of some 30 children who presented purses to Mrs. Charles Robertshaw who suitably received them on a Swedish silver tray. Mr. Sydney Walker was appointed organist in January, 1912, and accompanied a choir of 50 voices in faultless style at the Chapel Anniversary on 6th October, 1912. He resigned in 1915 and Mr. John Bairstow of Queensbury was appointed. Changes during this period were frequent Mr. Sydney Walker being re-appointed in 1918 to be succeeded by Mr. Lewis Sutcliffe in April, 1919, who at his own suggestion was relieved of the position and Mr. Sam Bradley appointed. 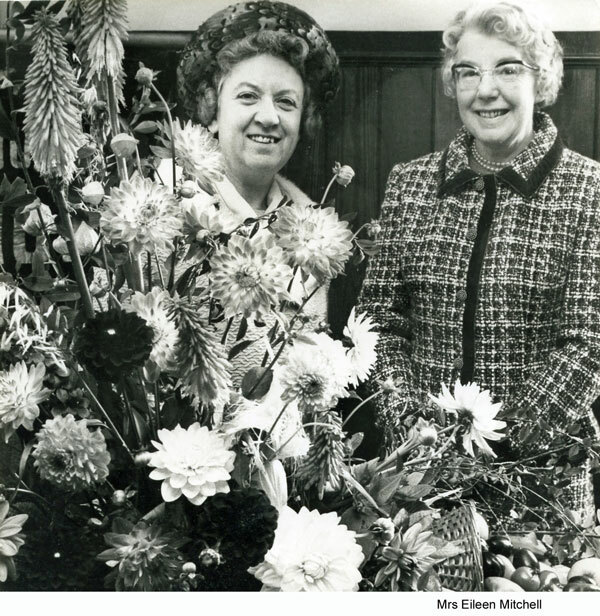 In October, 1933, the 150th Anniversary Celebrations were held, the Rev. William Walker being the chief speaker. Rev. Mr. Johnson, who was minister at time, describes this as a "never to be forgotten" occasion, for at the Saturday gathering it was announced that a further gift of £500 from Mr. Enoch Robinson was to be made, this principal to be invested and the interest to be used for maintenance of the fabric of the buildings. At the Sunday services, special music by the Choir conducted by Mr. T. B. Amiss, included "Gloria" and "The Radiant Morn". The tune "Accepted Widdop" by the old Illingworth composer, John Thomas, was sung. Mr. Thomas was said to have been the first conductor at Mount Zion in 1773. Mr. Sam Bradley resigned in September, 1927 on removal from the district, but was asked to accept the position of organist again in August, 1928; at this time Mr. Calvert Moore was appointed Choirmaster. This dual appointment continued in a harmonious relationship until the retirement of Mr. Sam Bradley in 1945. In more recent days at Mount Zion changes have taken place, both in style and persuasion, but probably the outstanding event within living memory was in 1938. 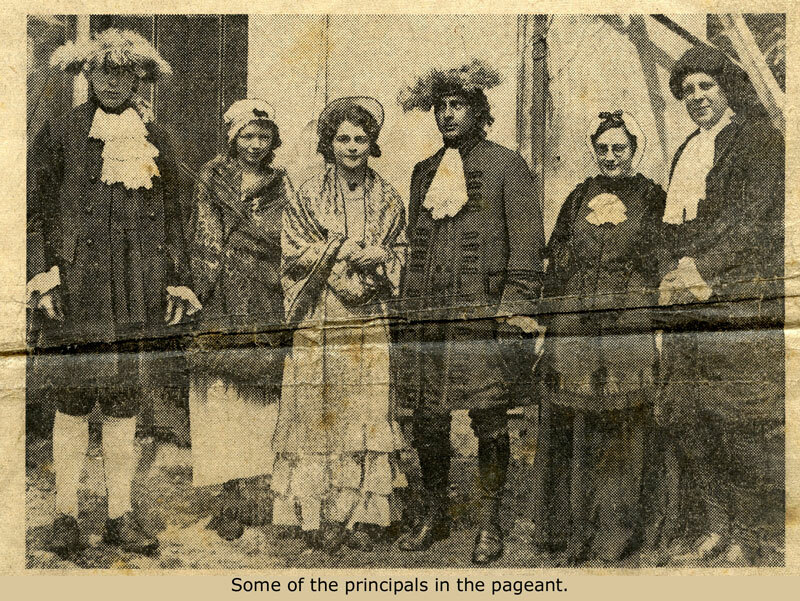 The Bi-Centenary celebrations of Wesley day saw a pageant at Mount Zion, organised by the Halifax Circuits, of never-to-be-forgotten splendour. The site at Tod-Moor Green being used for the re-construction of the Dawn of Methodism constituted a great tribute to one of the older Societies in the district. See bottom of page for pictures! The celebration of the Bi-centenary of Mount Zion will no doubt bring many memories to be related, more stories to be retold of quaint customs, some of which may now have lapsed into history. Many made a day of it at the Sunday School Anniversary like the two special visitors who for a considerable number of years had met at the Anniversary. These two "Knights of the road" who always turned up on the first Sunday in July, arriving at different times, met in the graveyard and put half a crown in the collection box. 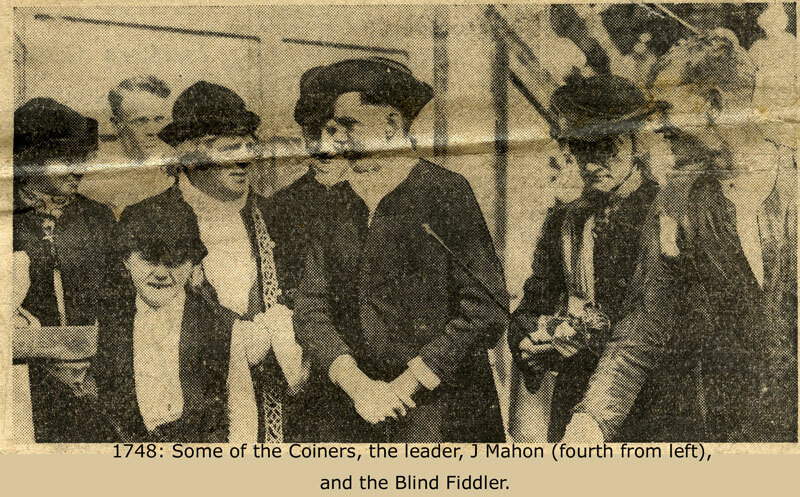 Now they are gone and it is probably true to say that many regular attenders were unaware of this meeting, and no one can say what inspired the first pilgrimage. In relating this account, nothing but a fraction of the history at Mount Zion, it must be placed on record the dedicated service given by so many faithful souls over the past 200 years. To the cause of Methodism in general and at Mount Zion in particular they faithfully served and by their example left a legacy for future generations. This account of the Mount Zion story was compiled by Mr. John Bradley in August, 1973. 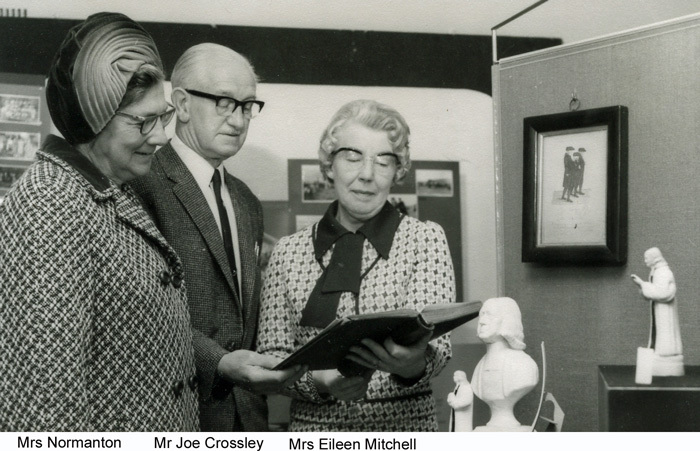 ** There is a photograph in the collection of the original Sunday School. *** There are hymn sheets, programmes, medals and pottery in the collection relating to the Piece Hall Sings. 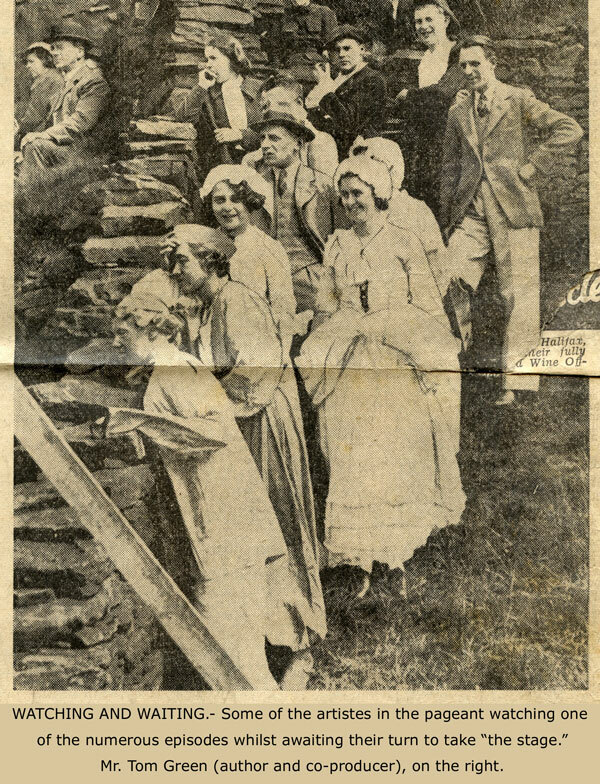 Photographs from The Halifax Courier and Guardian, Saturday May 28th, 1938. A full page spread!